CoolCondition Cubes provide ‘Non-Heating’ but conditioning calories and are ideal for horses that need condition without ‘fizz’. 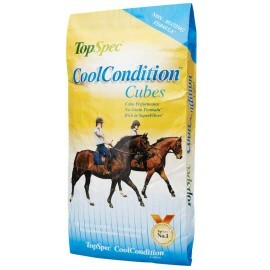 CoolCondition Cubes are designed to be added to a TopSpec feed balancer or supplement and therefore contain no added vitamins or trace-elements. 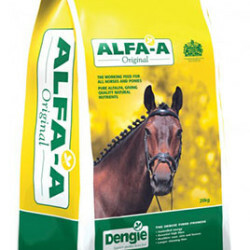 That is why we call them a ‘blend’, because they are a blend of straight raw materials rather than a complete feed. Adjusting the rate at which CoolCondition Cubes are fed will have no effect on vitamin and trace-element intake as these are supplied by the balancer used. They are formulated without the use of any cereal-grains, so they are not just ‘oat-free’ or ‘barley-free’ but completely cereal-grain free. 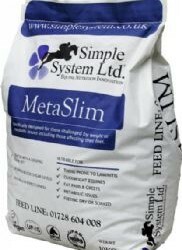 At the same time they have a good conditioning index of 12.5MJ/kg, equivalent to most cerealcontaining conditioning compound feeds. 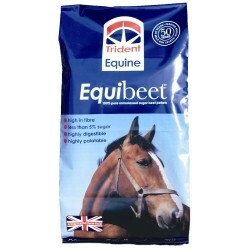 The formula is very low in sugar and starch and high in fibre.